Infinity® from Marvin doors are made of Ultrex® fiberglass which means they won’t fade over time and are industry leaders in durability. 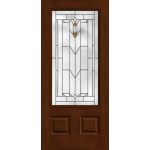 For folks who aren't interested in another wood door because of the swelling, rot or maintenance of their existing wood door, we recommend our patented EverWood interiors. This is a wood grain interior finish that's stainable or paintable, to match your home's interior. Our doors also feature multi-point locking systems, keyed exteriors and durable screen options to complete our total door package. 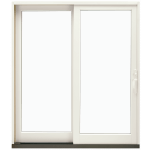 Why not team these high-quality patio doors with our superior quality Infinity® from Marvin Replacement Windows for a total home upgrade? Consult with Veracity Window & Door professionals in San Diego and Corona and explore all the possibilities with a FREE in-home estimate! Call 866-734-4088 today! Made of Ultrex®, Infinity’s tough and energy-efficient doors are customizable to meet the needs of any replacement project. Ultrex® resists the ravages of cold, heat, time and pressure to provide the most worry-free doors available today. While vinyl can distort in extreme heat or streak and crack in the fluctuating temperatures, Infinity products offer the highest level of performance and are virtually maintenance-free. Infinity products are designed to replicate the look of traditional wood doors while providing modern features and low-maintenance performance. Our patented, mechanically bonded finish is up to 3x thicker than competitive finishes. It provides superior resistance to scratching and UV degradation – even on darker colors. The Ultrex® coating system is AAMA 624-10 verified meaning our commercial grade finish resists the harshest weather conditions mother nature offers; a claim our competitors can’t match. You trust us with making your home look beautiful and complete. We don’t take that trust lightly. Here’s what you can expect while working with Veracity Window and Doors. Within 24 hours of receiving your contact form or phone call, one of our team members will call to discuss your project needs and identify how Veracity Window and Door can best fit your vision and budget. 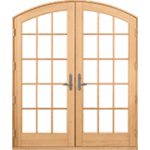 After learning more about your project, we will set up an appointment to have one of our highly-trained door consultant come to your home to do an initial survey and measurements. During our first visit, your Veracity Window and Door consultant will answer any questions you may have about door styles, materials, and features. They will also walk you through the door options they feel best suit your home style and project budget. Door replacement or upgrades are a wise investment in not only the value of your home, but also in the energy efficiency and cost-saving potential that will result! Our proposal will include every cost necessary to complete the project to your specifications. If you have a question about anything, we are here to walk you through what our team has come up with. If you decide after reviewing the proposal that you would only like to move forward with a portion of the door installation, we are happy to adjust the proposal for you. Once you’re happy with the project cost and timeline, Veracity Window and Door will begin crafting your new door(s). As your materials near completion, one of our helpful team members will contact you to set up an installation time with our factory trained employee installers. At Veracity Window and Door, we always treat our customer’s home as if it were the boss’s. Our factory trained employee installers will walk through the details of their visit in your home, including what they will be doing and how long you can expect the project to take. We will lay down protective coverings where needed and do final measurement checks before installation. As our installers work, they will keep your home tidy and settle for nothing less than perfection. Once your door(s) is/are installed, our installation team will do a thorough cleaning of your new additions. Our goal is to provide superior service during every minute of your time with us. We will send you a customer survey to complete after we wrap up your project. Your feedback will help us ensure that our team provides a stellar customer experience in the future!